The Oregon Lions Sight & Hearing Foundation has an over 55-year-old tradition of serving men, women and children throughout Oregon. OLSHF is the non-profit arm of the 188 Lions Clubs of Oregon and provides service in every county in the state. In the early 1990s the Lions of Oregon noticed that there was a lack of preventative health care in many areas of the state. They wanted to find a convenient and inexpensive way to provide health screenings to those that needed it. Looking to the mission of the OLSHF, the dream of a Mobile Health Screening Unit was realized in 1994. Each MSU is a semi-truck that has been set up like a small clinic. 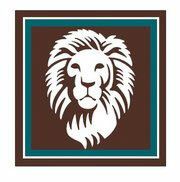 Professional consultants and other Lions Foundations have contributed to the design of the program. Each unit provides school and public screenings throughout the year. These screenings are free to those being screened. Most of the charges for these services are covered by the OLSHF and the local Lions club. A long-time supporter of the Hollywood Lions Club, Albina Fuel is very pleased to be a sponsor of fuel for the Mobile Health Screening Units. Operation Santa, a joint operation between KPAM 860 and The Salvation Army, assists Military families suffering financial hardships.